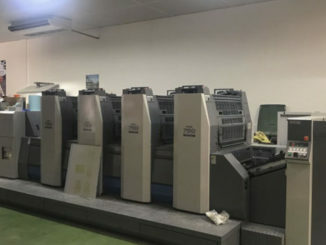 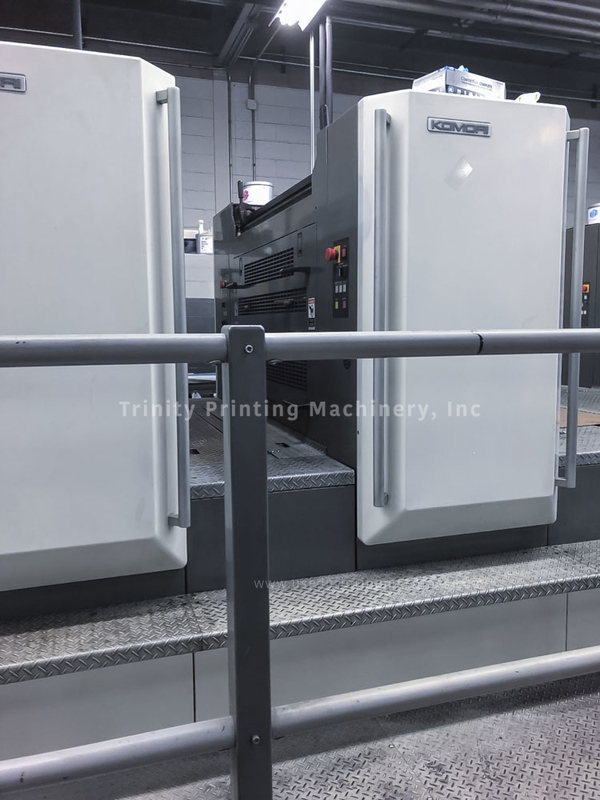 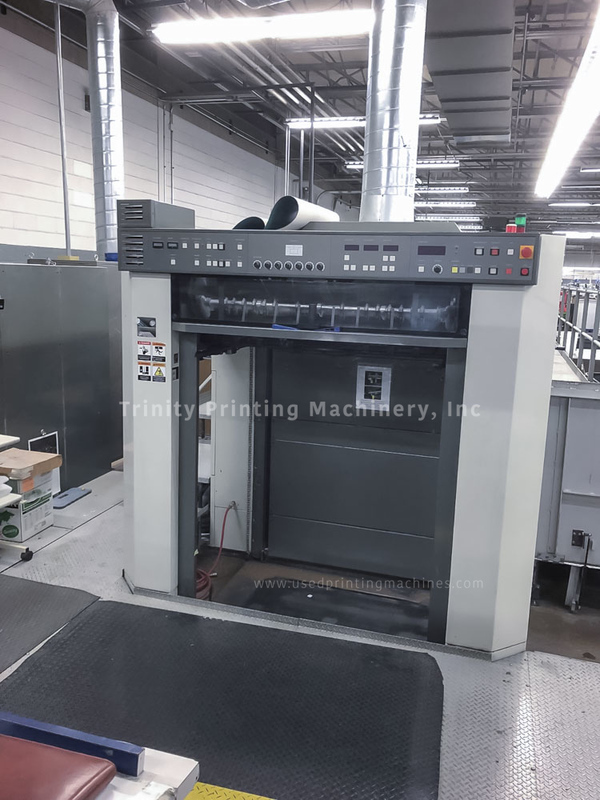 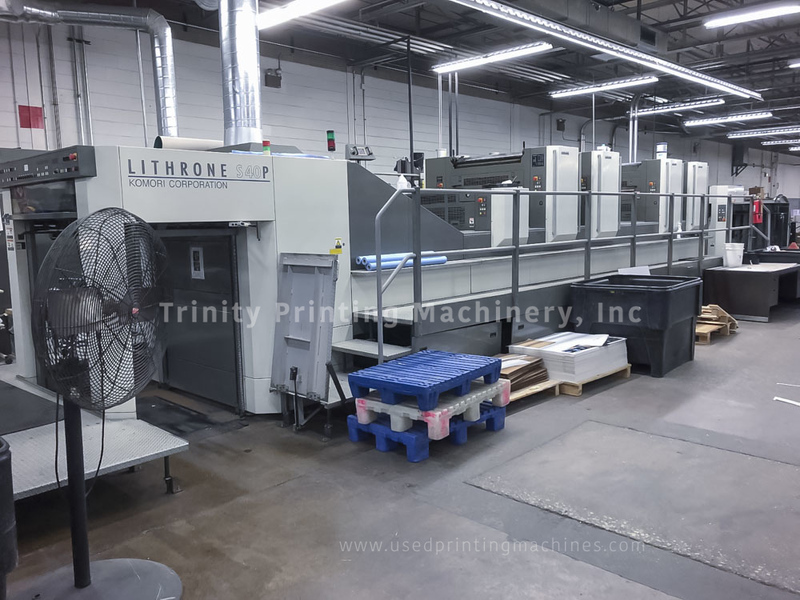 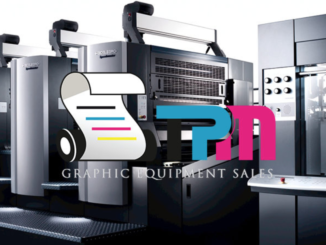 2004 Komori Lithrone LS440P+CX – Trinity Printing Machinery, Inc. 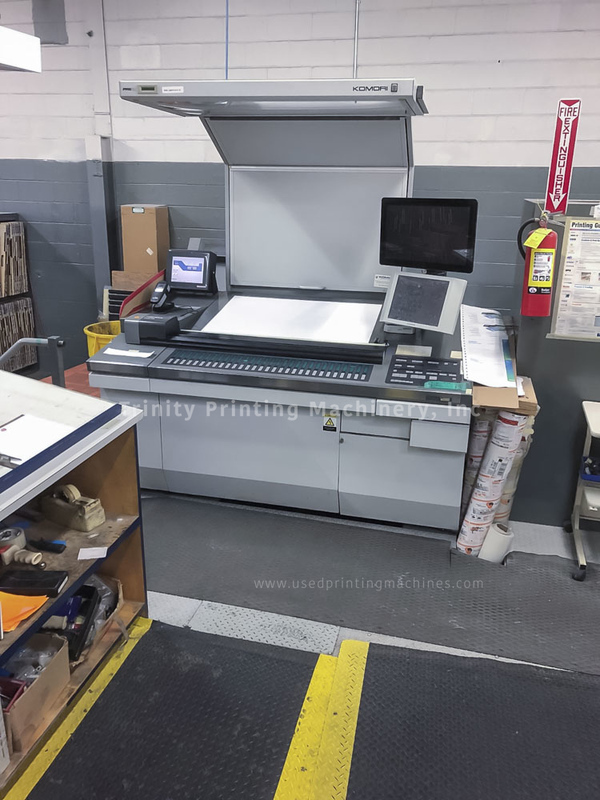 Here is a VERY clean Komori press we have for sale. 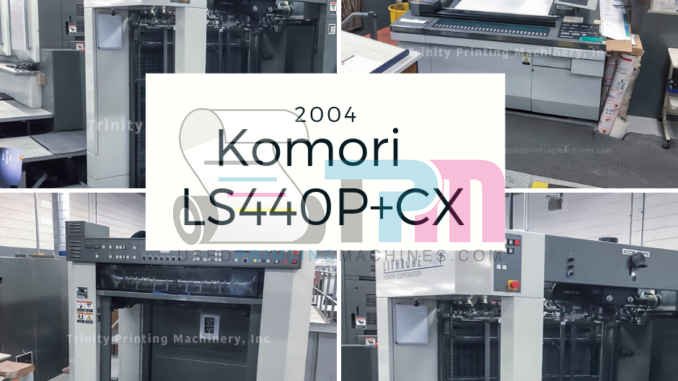 This LS440P+CX is in production in a commercial plant just as you see in the photos. 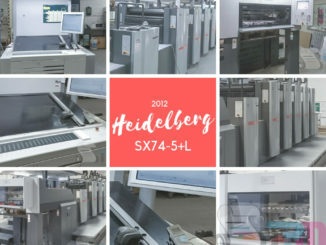 The press features the full ’45-series’ automation package, is on a factory raised kit, it has CIP3 for ink key profiles as well as closed-loop scanning, Anilox coater and much more. 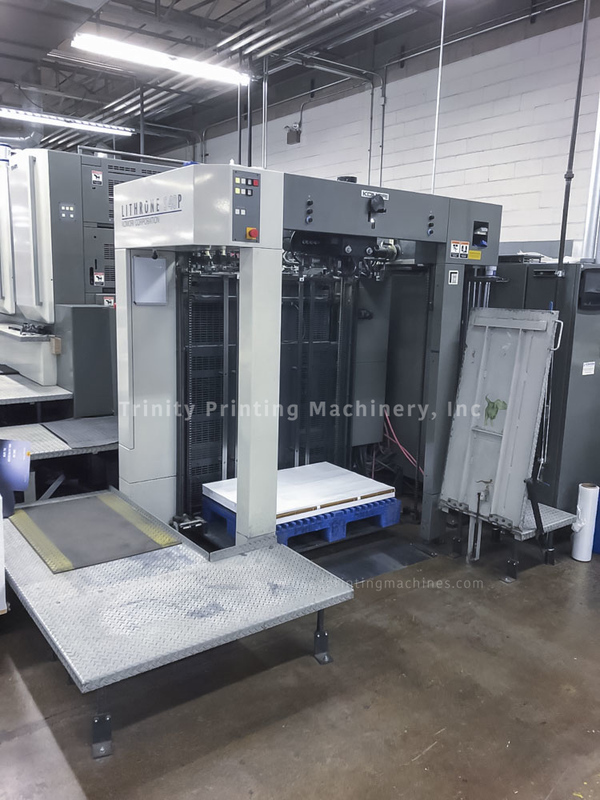 Call or email for more information or to schedule your demo.